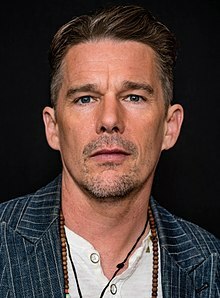 2016 投手之路（英语：The Phenom (film)） Hopper Sr.
^ Ethan Green Hawke - Texas, Birth Index. FamilySearch. [2014-12-13]. ^ Galuppo, Mia. Richard Linklater, Kris Kristofferson Joining Ethan Hawke's Music Biopic 'Blaze'. The Hollywood Reporter. 2017-02-10 [2017-03-22].